Now I understand the buzz of flying in a Spitfire! 'It’s Battle of Britain weather!” said the mechanic as we stood gazing up into the azure skies peppered with cotton wool clouds above the Goodwood aerodrome. 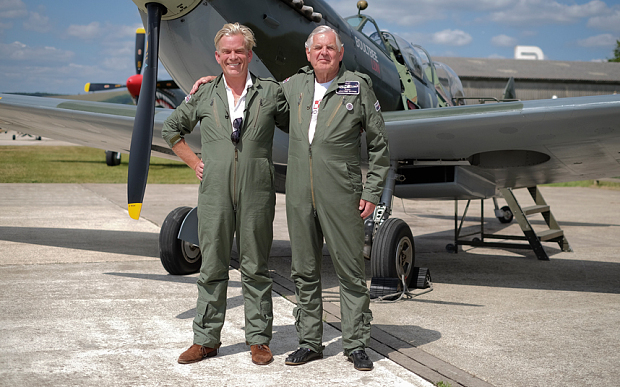 Somewhere far above us, my father-in-law Phillip’s lifelong dream was coming true – he was flying where his father before him fought, and died – in the cockpit of a Supermarine Spitfire, the most iconic plane in the world. The Spitfire had been up there for 20 minutes, but peer as I might I could catch no glimpse of the plane that had first seen service in 1944 and been modified to be a two-seater training aircraft shortly after the war. At 71 years old, the Spit, as the aircraft is called, was a mere three years younger than its passenger. The pursuit of his Polish heritage has been a long and sometimes painful one for Phillip Methuen. His father, Pilot Officer Mirosław Ferić, died over RAF Northolt on February 14 1942, when my father-in-law was a baby. He was known universally as Ox (all the Polish pilots fighting in the Battle of Britain adopted nicknames, for fear of reprisals against their families still living under Nazi occupation). 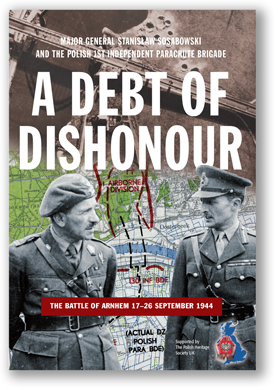 Ferić had fought for the Polish Air Force in the defence of Warsaw in 1939, and once Poland had fallen, the young pilots had fought their way through Europe, even having to steal planes in France, before ending up at RAF Northolt in 1940, speaking no English.